After dinner I managed to take a 3hr pre-bed nap (as my Dad calls them), so I was wide awake at midnight. I’ve had some rapidly ripening bananas in my kitchen and Josh has been subtly hinting at banana bread for a few days. 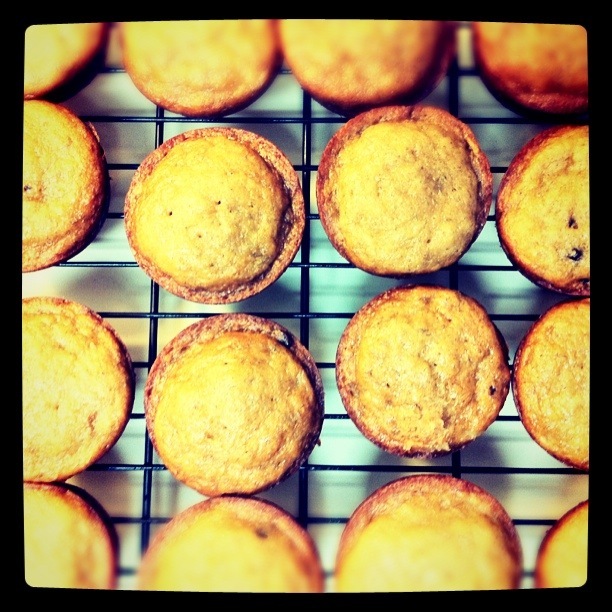 So, I spent the wee hours baking up these amazingly delicious Banana Chocolate Chips Muffins. The recipe, as most of my recent favorites, originated from allrecipes.com (see the original here). This one however, I tweaked to make my own. Cool for about 5 minutes and ENJOY!